Seabirds in the family Laridae that have a worldwide distribution and are normally found near the sea, rivers, or wetlands. 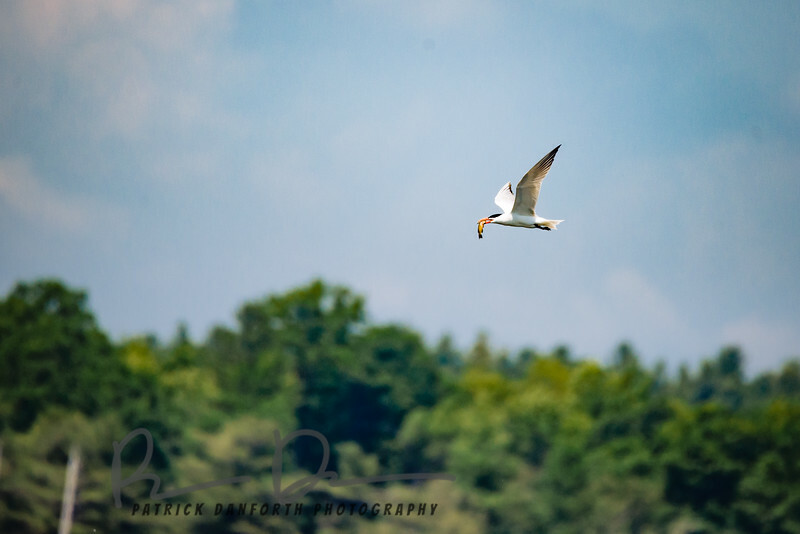 Terns are treated as a subgroup of the family Laridae which includes gulls and skimmers and consist of eleven genera. They are slender, lightly built birds with long, forked tails, narrow wings, long bills, and relatively short legs. Most species are pale grey above and white below, with a contrasting black cap to the head, but the marsh terns, the Inca tern, and some noddies have dark plumage for at least part of the year. The sexes are identical in appearance, but young birds are readily distinguishable from adults. 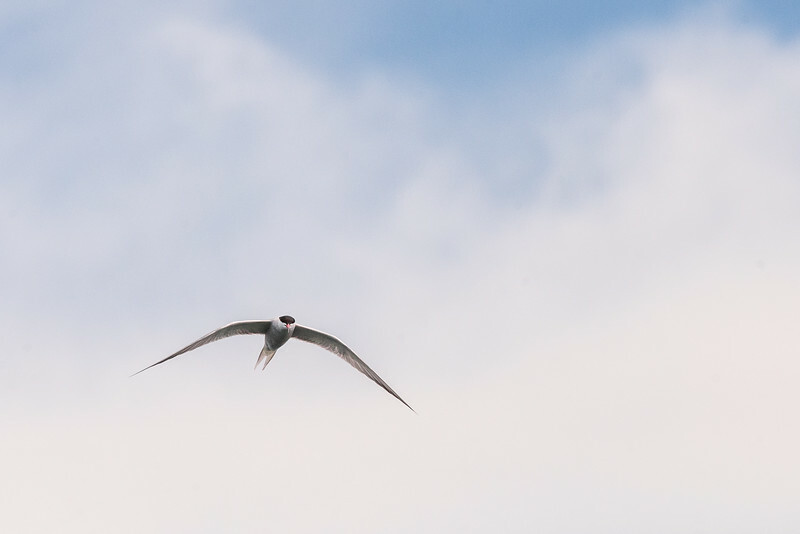 Terns have a non-breeding plumage, which usually involves a white forehead and much-reduced black cap.